Excursion: Great Lakes Tea & Spice Co. When I was first getting into tea several years ago, I had tried all the local stuff and hadn’t spread my wings too far yet. I was slowly getting a sense for how to identify between teas that were really stellar and teas that were just okay. 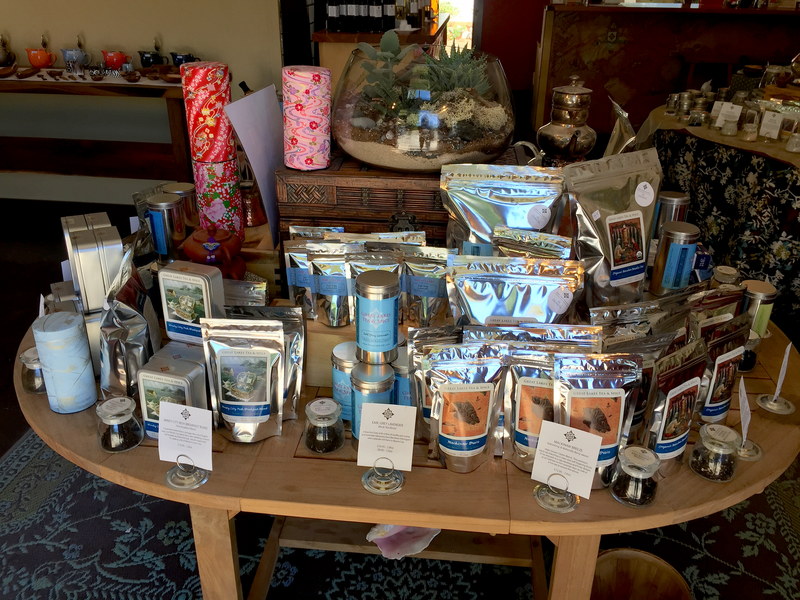 Then i came across Great Lakes Tea & Spice Co., a small startup company in Glen Arbor, and although their teas were very expensive, everything I smelled impressed the pants off me. In Ann Arbor (my stomping grounds, no where near Glen Arbor) a small selection of their teas were available at Plum Market, and a few more could be got at the little known Jefferson Market Cakery. Eventually, I learned via Facebook that Great Lakes Tea & Spice Co. (we’ll just call them GLTS) actually had a much bigger kiosk in the Henry Ford Hospital in West Bloomfield. Their hours made it a challenge for me to visit, but at some point i snuck in with ten minutes to spare and came home with a few more of their teas. A year or so later, Plum Market dropped their contract and the Henry Ford kiosk closed up shop. Great Lakes Tea & Spice Co. still had its Glen Arbor store and its online site, but by that point I’d found other exciting teas and moved them to the back burner. In 2014 I had a few GLTS teas remaining and was able to blog reviews for two of them: Organic Ancient Snow Sprout and Organic Persian Peach White. Other notable GLTS teas I tried back in the days before my blog included: Freshwater Pearls, Honey Sweet Oolong, as well as a selection of their White Flowering teas. I didn’t try everything that was offered in Ann Arbor, because honestly I just couldn’t afford it. Finally, this summer I ended up heading north to Traverse City twice and i made it a point the second time to finally seek out (jocilyn’s misadventures style xD) and visit the GLTS shop in Glen Arbor. I had the wrong address and Google sent me the long way into town, but in doing so i was able to really see the sights and enjoy the idyllic otherworldly aspects of this secluded Northern Lower Michigan town. Ironically, the day after i visited, Glen Arbor/Empire and the Sleeping Bear Dunes were hit by an enormous stormfront that wrecked havoc on this quite lakeside town. Timing-wise, I really lucked out (though i’m not the hugest fan of tourists or being a tourist so i probably would have gotten more out of the trip if i’d gone when all the roads were closed and attractions shuttered ;). I was able to meet briefly with GLTS’s owner and had a short chat about his business and how much i’d been a fan. I also tried all three of the iced teas they offered as free samples for window shoppers (which gave me some good ideas for future iced teas). Unfortunately, i didn’t really have much in the way of spending money for that trip and only brought home one of their teas: a flowering bulb that will be featured soon in my upcoming Flowering Tea Week (i need to get one or two more examples before I begin writing those blogs). I did find a few things I might order in the future, but to a great extent, many of their teas are the same style as those I can order through Upton, and I already have an account with them. :/ Nevertheless, it was a wonderful experience and if you ever find yourself in Glen Arbor, I highly recommend you stop in. Their teas really are top notch! Glen Arbor Marina by Jocilyn Mors is licensed under a Creative Commons Attribution-ShareAlike 4.0 International License. Glen Arbor IGA by Jocilyn Mors is licensed under a Creative Commons Attribution-ShareAlike 4.0 International License. Great Lakes Tea & Spice Co. shop display by Jocilyn Mors is licensed under a Creative Commons Attribution-ShareAlike 4.0 International License.